The housebuilding sector isn’t restricted to those with a passion for architecture and design – it’s an open industry with many career paths that suit a variety of skill sets and personality types. As a quantity surveyor you will be responsible for a housing development’s costs and budgets, as Laura Zumbe, quantity surveyor at Miller Homes explains. What are the key skills that help you in your day-to-day role as a quantity surveyor? A career as a quantity surveyor requires in depth knowledge of not only mathematics and technology, but also of the construction industry itself. While you obviously learn part of this on the job in your first couple of months, studying at university helps you build a foundation of skills that mean you can hit the ground running once you graduate. My time studying a BSc in Building Surveying at Nottingham Trent University gave me the basics of what I needed for my career, from learning how a building is actually constructed, to the technical language used in the industry. As a quantity surveyor, you need to be methodical, organised, have good financial management skills and, overall, be interested in the building industry. Like most careers, university is not the only path – there are dozens of training sessions, workshops and online courses all supported by the RICS that can give you the necessary experience to get started. 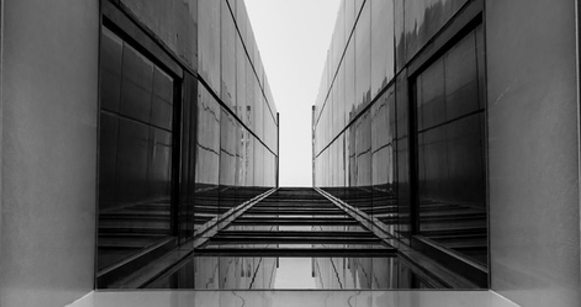 What advice would you give to anyone looking to go into a career in quantity surveying? Do your research and learn exactly what is required, and what a typical day looks like – this applies for every job. If you’re in two minds about your future, take a look on websites such as UCAS for a brief description of responsibilities, expectations and skill sets. Understanding what your future will look like is a great way to know if you’re really suited for the job or not – it’s better finding out sooner rather than later. Once you have decided to pursue a career in quantity surveying, search for companies in the area that offer training schemes or work experience opportunities. These can be a real eye opener into what the work-life will be like, and can fill in some of the gaps in knowledge your studies may have missed, such as general office skills. Whenever you meet someone in the industry, whether this is through work experience, or a guest lecture during your course, try and standout – for example connect with them on LinkedIn. Try to grow your network (digitally and in person) in the industry as early as possible – it may just secure you an assistant role as soon as you graduate. Finally, you need to be persistent. Never leave a rejection at just a ‘no’ – always ask for feedback and find out where you can make improvements for your next application. What is a typical day like as a quantity surveyor? Since I’m always dealing with multiple projects at once, each day brings a new set of jobs and challenges. 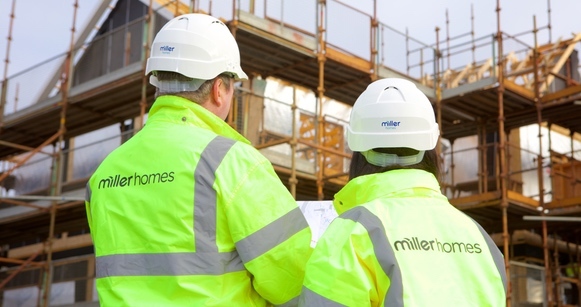 Usually, my day consists of procuring sub-contractors for any new developments Miller Homes sets up in the Scotland East area, as well as managing the costs and budgets of all existing projects. When a development is complete, I handle the final accounts related to the sub-contractors and make sure everything has been agreed and finished off. Generally, my work is office based, but I do also make sure I visit each development to check the progress of the build. While I’m there, I also like to update myself on any unforeseen issues the site managers come across, and meet with sub-contractors to make sure everything is running smoothly. One of my favourite experiences with the job so far involved refurbishing an old school into a collection of new apartments. This was a unique project that brought with it a set of new and interesting challenges I had not previously encountered, especially when it came to the design of the new residential layout. The job has a real sense of satisfaction too, because you get to watch the progression of these developments as they evolve into beautiful, thriving communities.